Come to our thrilling Hallowe'en Party sponsored by Celebrate England, Meadowhall, British Land and Awards For All. Zombie stilt walkers and a fire eater will be strutting their stuff! 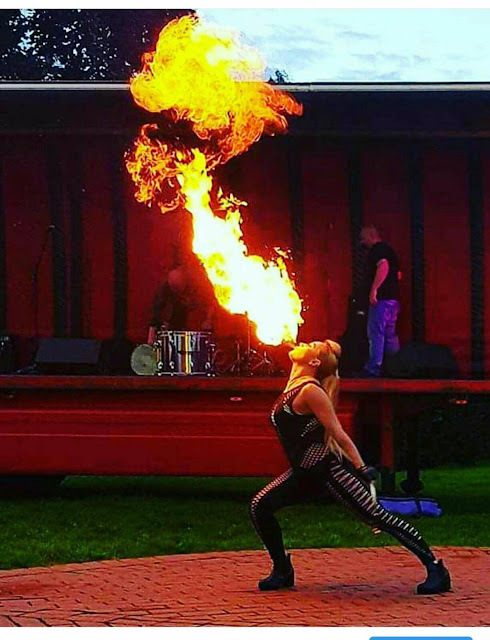 Stage Invaders Entertainment will be performing their "Sparks and Fire" show and the zombie stilt walkers will be mingling with visitors throughout the evening! Come and have your photo taken with them or just enjoy the heat! We are really pleased to announce that One Nation are our official Sport Partners at our Hallowe'en Event sponsored by Celebrate England, Meadowhall, British Land and Awards For All. Interested in trying Archery? Come and have a go! Fully qualified instructors will be on site to give you a hand. One Nation, great sports' ambassadors for the City. There was unprecedented interest in our recent IKEA open day. The 32 slots were all quickly filled and although some people dropped out as the time approached their places were swiftly taken by others. 14 names were forwarded to IKEA to be considered for vacancies in their new call centre, and another four people were recommended for future vacancies in the IKEA store. These four were then followed up by IKEA to see when the could attend the next stage of the recruitment process. 15 people either decided that working for IKEA was not for them or were guided to other more suitable vacancies matched to their requirements. 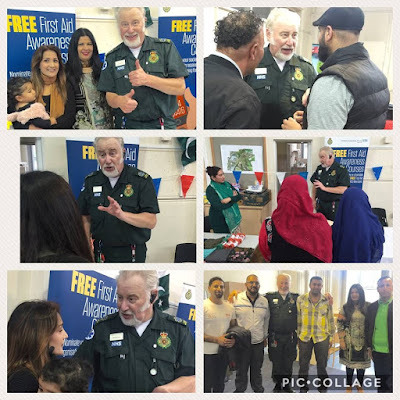 Thank you to JobCentre Plus and the local Darnall Ward councillors for helping to make the open day possible. Apologies – there were four apologies. The Minutes of the 2016 AGM were agreed to be a true record. The financial report, which is part of the annual report and accounts for 2016, was adopted. Neil Bishop reported that despite increasing its unrestricted reserves the Charity’s overall reserves had reduced by £4,000. This is why we are trying to sell the post office. 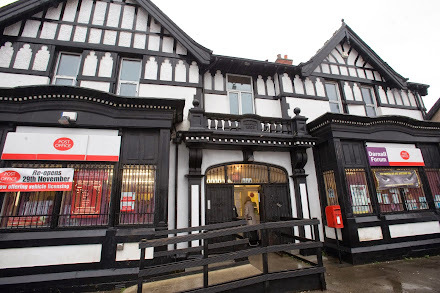 Even taking the sale into account, the Charity is expected to lose another £5,000 this year unless some of the people of goodwill who lent money to the post office decide to donate the money to the Charity when it is repaid to them. The Trustees’ Annual Report for 2016, including the Chair’s Report was adopted. Mothiur Rahman thanked the staff and directors for their support during the year. Elections & Appointment of Auditors – Mothiur noted that directors who have not attended a meeting for six months are automatically considered to have retired and that one third of the board are supposed to retire each year. It was agreed that those who had not attended would be considered to have retired unless they reapply to be directors. There are therefore six vacancies for the Board and these were not filled. Nicholson & Co were re-appointed as the independent examiners for 2017. Local issues – There was a discussion about the recruitment process for the new IKEA store. 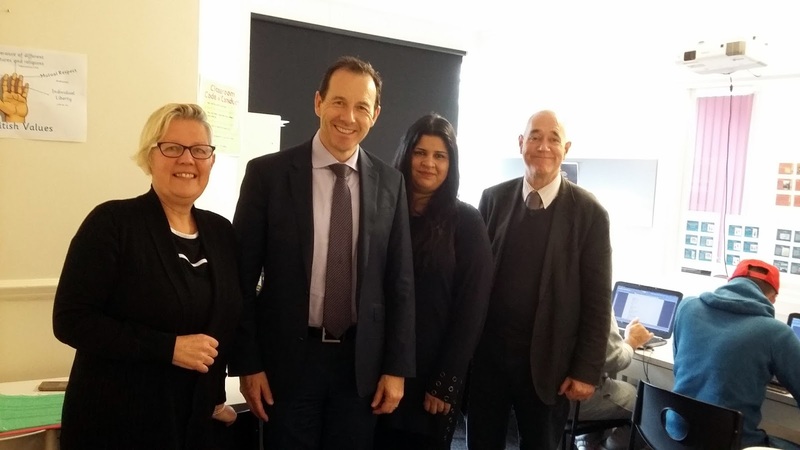 The meeting expressed strong disappointment about the lack of support for local people to engage with the very demanding recruitment process. Neil Bishop reported that, perhaps as a result of publicity surrounding the meeting, an information day for potential recruits is planned at the Forum on 23 October, with JobCentre Plus advisers in attendance. The meeting agreed that Neil should ask the councillors to pay for this from the Ward Pot or obtain other Council funding to support it. East European people are congregating again outside shops. It was suggested that they are drinking in the street and dropping litter. However, it was also noted that the police do not believe they are causing a breach of the peace. Fly tipping and street litter bins getting over full remain problem issues. Neil Bishop drew attention to the Forum’s repeated unsuccessful efforts to raise funds to tackle fly tipping. It was noted that Street Ahead have been asked to keep an eye on the situation. 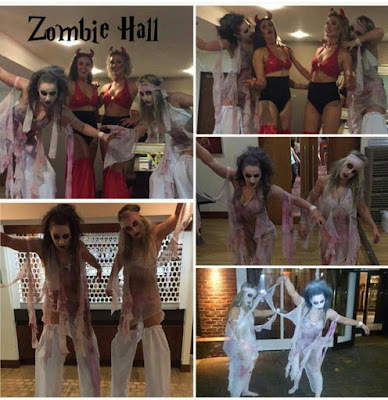 So excited FC Ice are joining us at our Halloween Event! Fruity Cubes are passionately handmade to make your drinks more exciting!! Following recent publicity, on Radio Sheffield and in The Star newspaper, that not enough local people were getting jobs at the new IKEA store, local councillors have moved swiftly to help residents in Darnall Ward to get help with the application process. 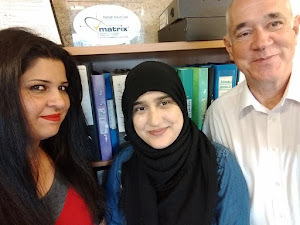 Councillors Mazher Iqbal, Mary Lea and Zahira Naz are helping to fund an open day at Darnall Forum, next-door to Darnall Post Office, on Monday 23 October from 10 till 2. The current vacancies are mainly for jobs in the new IKEA call centre, which will be based in the Sheffield store, however there will also be advice about how to apply for future vacancies in the store itself. There has been unprecedented interest in the open day, with 1,493 people looking at at our original Facebook post about it and another 806 reached by a follow-up post of Facebook yesterday. All of the 32 slots are now taken but residents of Darnall Ward can still drop in for advice just in case one of the people we have booked in for an advice slot doesn't turn up. The advisers are all from JobCentre Plus and have lots of experience of what IKEA are looking for and how to apply. 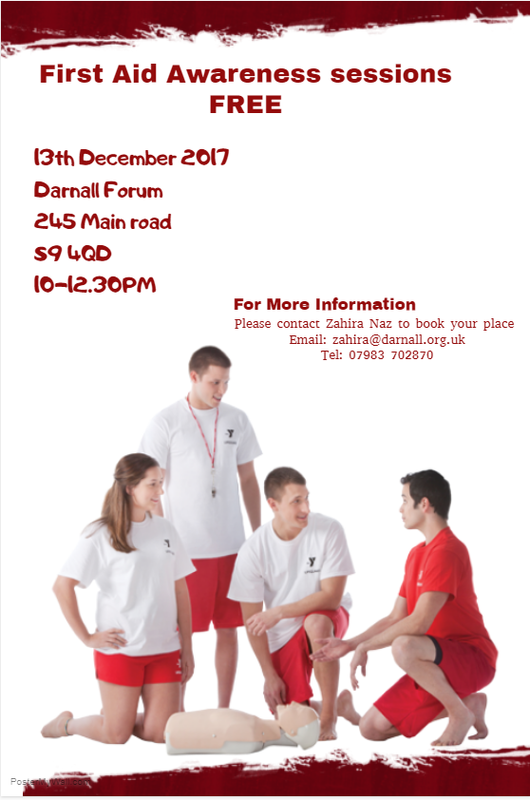 There will be extra support for people who receive JSA or ESA, but anyone who lives in Darnall can ask for a slot with one of the advisers. In a bid to encourage local residents to apply for jobs at IKEA, our local councillors, Mazher Iqbal, Mary Lea and Zahira Naz, are helping to fund an open day at Darnall Forum on Monday 23 October from 10 till 2. These vacancies are mainly for jobs in the new IKEA call centre which will be based in the Sheffield store, however there will also be advice about how to apply for future vacancies in the store itself. There has been unprecedented interest in the open day, with 1,493 people looking at our Facebook post about it and all but six of the 32 slots, (three at 10 o'clock, one at 11 and two at 1pm) are now taken. Text 07800 536642 with your name and address (you have to be a resident of Darnall Ward) NOW if you would like one of those remaining spaces. If you can't come until later, or you miss out on those places, you can still drop in, just in case one of the people we have booked in for an advice slot doesn't turn up. Thanks to sponsorship from Celebrate England, Meadowhall and British Land we bring you another chance to celebrate the shared heritage of people living in England - a spooky Hallowe'en experience for children and their carers! 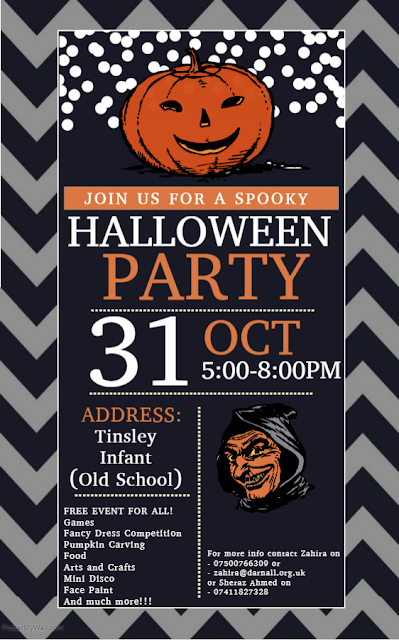 Instead of going out frightening your elderly neighbours, why not come along and have some spooky fun with us instead? And find out more about some other Autumn English traditions, Mischief Night and the Gunpowder Plot. OK, 'trick-or-treating', which is either very annoying or a lot of fun depending on your point of view, is an import from America. Hakllowe'en pumpkins are also an American import. Originally, a 'Jack-o-lantern' or Hallowe'en Lantern, was made by carving a turnip - but pumpkins are bigger and easier to carve! The tradition of carving humble turnips at Hallowe'en reminds us though, that Hallowe'en is originally an English custom. Hallowe'en has its origins in All Hallows Day, November 1, when Christians remember all the faithful departed and sometimes light candles in their memory. Hallowe'en, the evening before All Hallows Day, became celebrated as the night when the souls of the dead are allowed to wander the earth! Some people link it with an earlier Pagan harvest festival called Samhain which pre-dates the arrival of English culture in these islands. Whether that's true or not we can all celebrate Hallowe'en today as a harmless chance to have fun and frighten ourselves a little bit. There are still 26 vacancies at IKEA's new store in Sheffield and hundreds more in their call centre located inside the store. Would you like to work there? If you live in Darnall we are holding an open day with JobCentre Plus between 10am and 2pm on Monday 23 October, to help local residents find out how to go through the online application process. There will be additional support for people on JSA or ESA, but the open day is for ANYONE from Darnall who would like help applying for an IKEA job. There are 32 slots for one-to-one support. 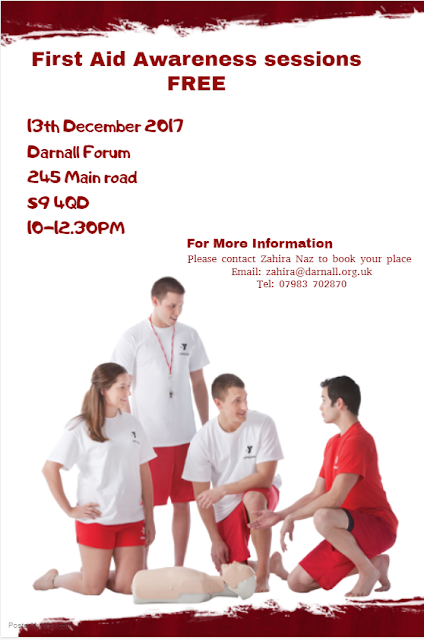 If you would like to guarantee a slot with one of the advisers please email nazia@darnall.orguk or zahira@darnall.org.uk. You can also ring the office on 0114 249 0099, but it is not staffed all of the time. Darren Pearce, who runs the Meadowhall Shopping Centre, and his colleague Lesley Giddins who liaises on behalf of British Land with local communities when they are looking to create new jobs, are pictured with our development worker Zahira Naz and our manager Neil Bishop in the training space that British Land staff built for us last year. They were visiting to talk about new job opportunities in the next five years which will come on stream as part of the planned expansion of Meadowhall. They are keen to recruit as many local people as possible as part of their strategy of working closely with their local communities. 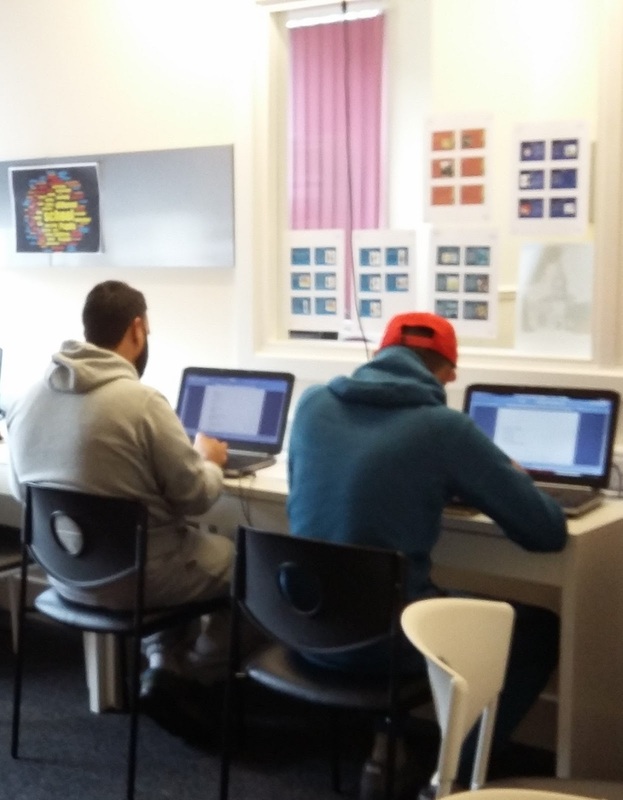 Some of our IT learners are pictured sitting at the slimline furniture in the training room, which was donated by IKEA. IKEA's new Sheffield superstore opened to great fanfare last week. In an article in The Sheffield Star on 10 August we were told that "most" of the 480 staff "have been recruited from within the city region, and particularly Tinsley and Darnall." 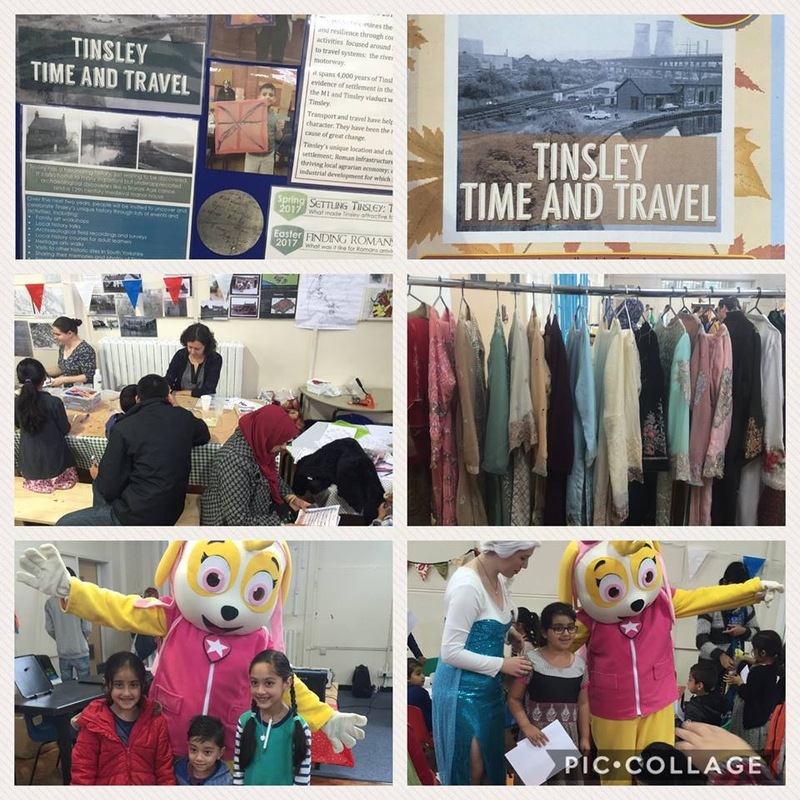 However, a City Council report revealed that only 6.2% of the jobs have actually gone to people in the whole of the S9 postcode area, which is quite a bit larger than Tinsley and Darnall. That's a total of 30 jobs out of 480. Come to our AGM to share your views and find out about the exciting community work we are doing and what is happening about Darnall Post Office. The meeting is at 6pm on Wednesday here at our offices next-door to the post office. We are pleased to announce that we are now running sewing and crochet courses again for local women here in Darnall. One class is already full. 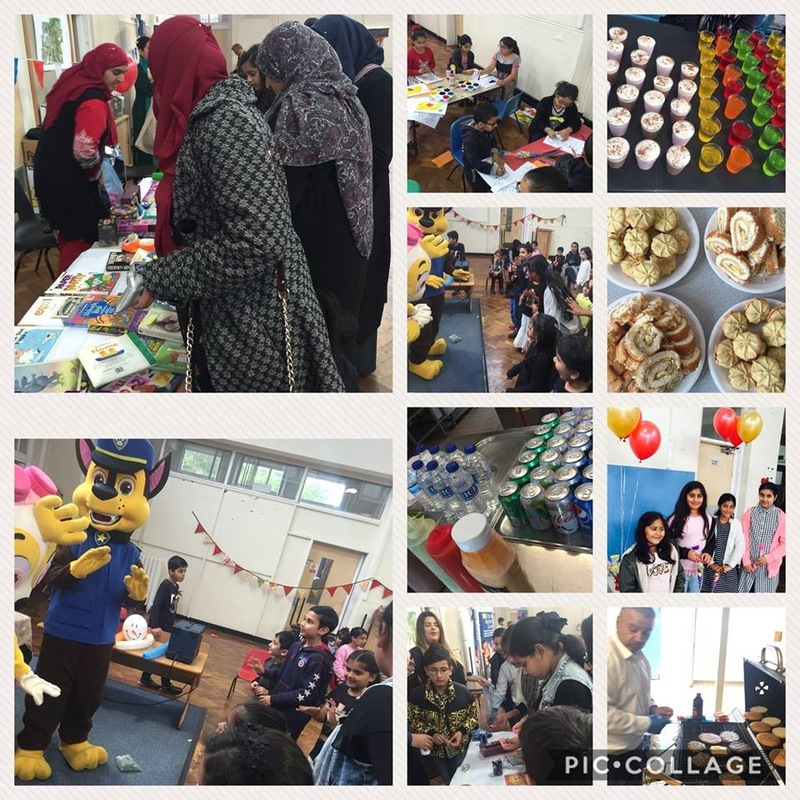 For further details contact Zahira by email at zahira@darnall.org.uk or on 07983 702870. These courses are funded with the help of the Brelms Trust and Awards For All. 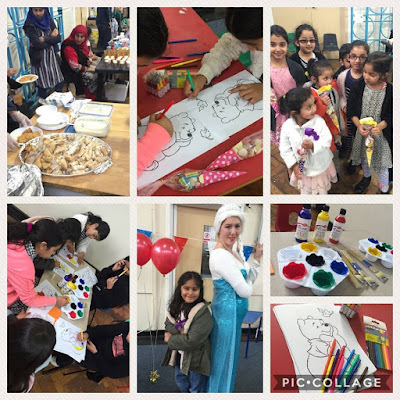 Please see below pictures of our successful make-up workshops and courses in Darnall this Autumn, which are already fully booked. Thanks to the Brelms Trust and Awards For All, which have helped to fund these activities as a way of helping local women to grow in confidence and self-esteem. Our autumn fair in Tinsley today was a great success and we had an excellent turn out! 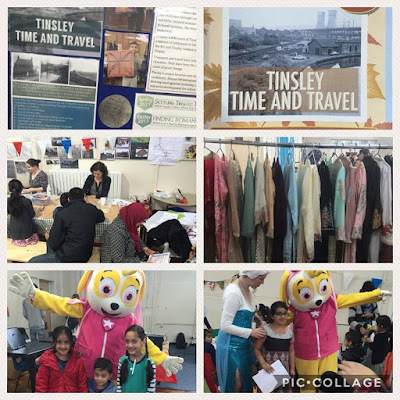 Thanks to partners Tinsley Time Travel, and One Nation Community Centre for supporting this event and helping us to celebrate the shared heritage and interests of people living in Tinsley. One Nation ran the sports' zone, providing the equipment, coaches and mentors. Thanks also to our funders, Celebrate England, British Land and Meadowhall. See the pictures of all the fun below! Our Women Only Gym Sessions Are A Great Success! 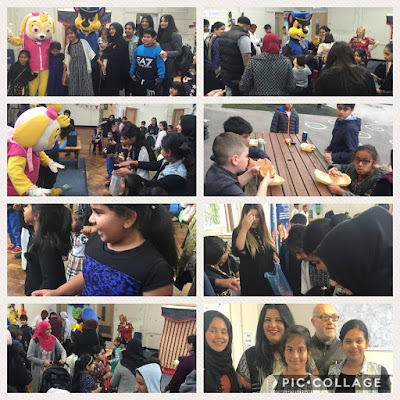 Please see below photos taken at the very successful women only gym sessions we have arranged with Davys' Sporting Club in Darnall. 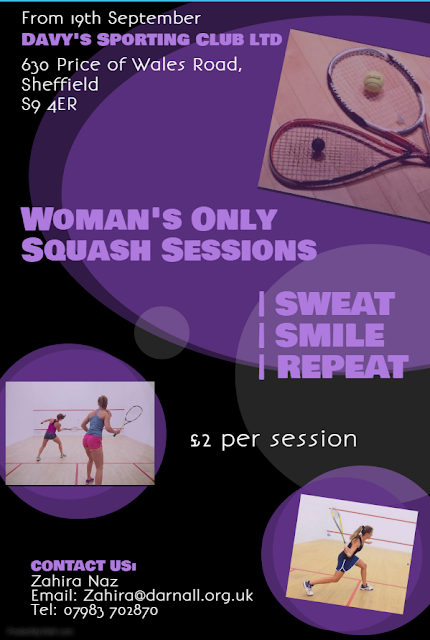 The sessions are now full but there is still a chance to join our women only squash sessions there. Contact Zahira by email (zahira@darnall.org.uk) or ring her on 07983 702870.